The proofed proofs that were sent back to the States were then compared alongside the proof marked by the proofreader. The copy editor then had a couple sets of questions and notes, which we’ve been going through together. Today, all issues have been resolved and the typeset pages are done and dusted; the writing and proofing of Amity & Sorrow is well and truly finished. I am so grateful for the care and attention by everyone at Little, Brown and, particularly, to copy editor Jayne Yaffe Kemp. In the midst of proofing notes, my trusty printer gasped its last. Now, a newer, larger beast has taken its place. A mono laser printer, it spits out pages with wild abandon. 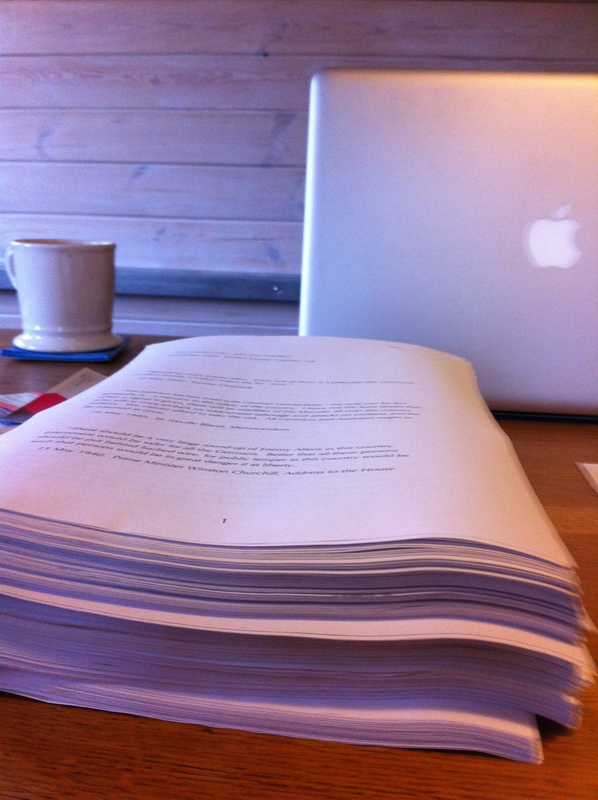 Its first job was to print out the new draft of my second book. Here it is, all 500 pages of it. Looking forward to settling down for a big read, armed with red pens and scissors, and the beginning of the next rewriting and editing process. Every ending is a beginning and this is one heady day for a happy writer.